You may have heard that there is now ‘greener’, more ethical car insurance available. Some consumers believe that green insurance is simply a ploy by bandwagon-jumping corporations to charge a higher rate for their fees. Others believe that the term applies to a company that takes internal steps to save energy, recycle and take other steps inside their facility that companies today should indeed all be taking. The fact is, however, that these statements do not accurately describe what green car insurance is or how it is truly beneficial to the environment. You may have used a handy online calculator to estimate your own carbon emissions at some point. Many of your day’s activities will generate carbon emissions, and these emissions effectively serve to pollute the atmosphere and contribute to global warming. These activities may range from simply running your refrigerator and turning on the television to driving your car. There is even a carbon footprint associated with the items that are shipped to your local stores for purchase, so almost everything does indeed have a carbon footprint. This means that almost everyone will have a negative impact on their environment in some way. 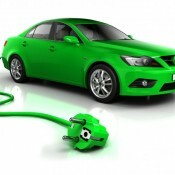 The fact is that green car insurance helps you to erase the impact of your carbon emissions with an offsetting program. After a year of being insured with the company, it will offset up to one tonne of your emissions at no cost to you. This is a considerable benefit to the environment, and it can help you to sleep easier at night knowing that you are making a difference in the world. Clearly, there is benefit to you and to the environment when you choose to purchase green insurance over its traditional counterpart. Pollution through everyday activities is common, and this gives you the opportunity to erase some of the pollution you cause. There is additional benefit to buying insurance from a green company, though. This insurance policy is available to you through a company that truly does care about the environment. It strives to promote a healthier environment by funding local environmental initiatives that can have a great impact on the world we live in. Your premium is helping to fund these projects. Every driver has the choice to purchase green insurance and give back to the environment in some way. Many believe, however, that this cover is too expensive for their budget, but it actually is priced affordably for most people. You simply have to get a quote today to learn more about how affordable it truly is to buy insurance that you can feel good about.